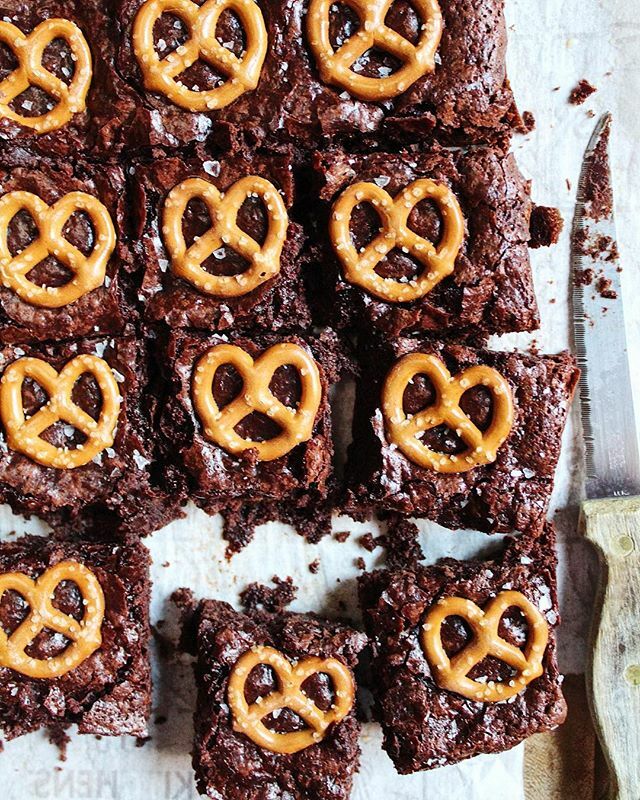 6 easy weeknight dinners plus salty-sweet pretzel brownie recipe! This hearty rice dish packs a ton of fresh, crunchy greens along with a delicious Dijon mustard dressing. Plus, frozen peas and frozen edamame provide a quick shortcut, but you'd never know from the final product. Feedfeed Tip Thinly sliced Brussels sprouts can be achieved with a knife, however if you want to make it a little bit easier on yourself, you could also use a mandolin (wear a protective glove!) or a food processor with the grater attachment. This is not your average kale caesar, that's for sure! Topped with crunchy, pan-seared BBQ tofu strips, this tasty salad is coated with a creamy, salty dressing that you're going to love. 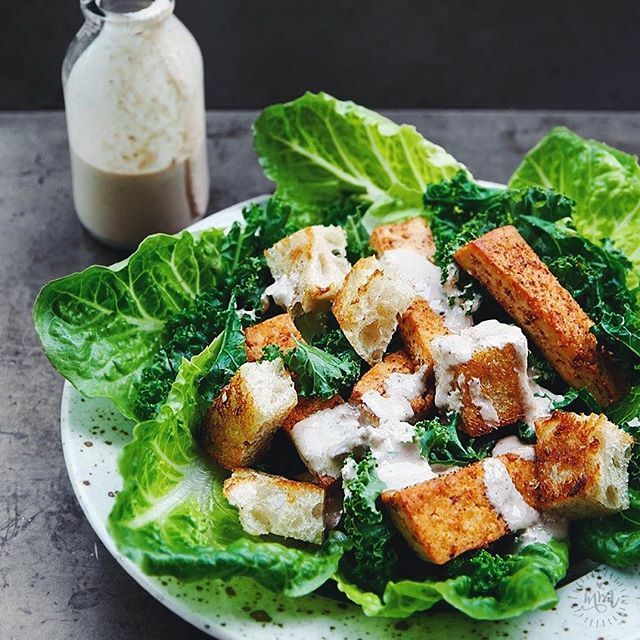 Finished off with homemade, rustic croutons, this easy weeknight dinner has everything you could ask for in a healthy, low-key meal. Feedfeed Tip For this salad, try to buy curly kale, versus lacinato (AKA dinosaur). By quickly steaming them in a skillet, they won't have such a raw, crunchy mouthfeel, making the salad that much more delicious. 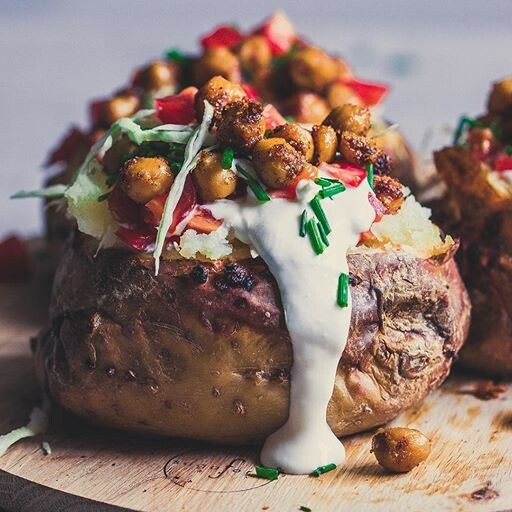 Crispy chickpeas nestled inside a baked potato topped with dairy-free yogurt and herbs are exactly what you want for dinner, no questions asked. FYI-these roasted chickpeas are dangerously good, so we'd recommend an extra batch for day-to-day snacking. Feedfeed Tip For roasted potatoes that are crispy on the outside and soft on the inside, it can help to par-boil them before spreading them out on a baking sheet. Make sure the pot of water is heavily salted, and boil them until easily pierced by a fork. Ohhhh boy is this Green Goddess dressing something you'll remember. A ripe avocado is key–it provides a luscious, creamy texture, fresh flavor, and a heavy dose of healthy fats. 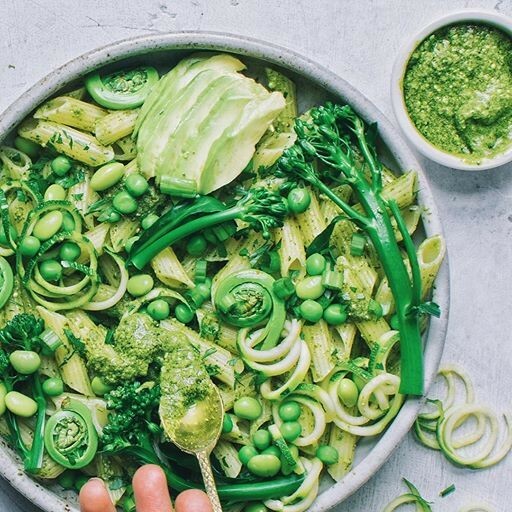 Feedfeed Tip If you have leftover pesto, store it in a glass jar with a thin layer of olive oil on top. Cover with plastic wrap directly on top of this, pressing any air bubbles out. 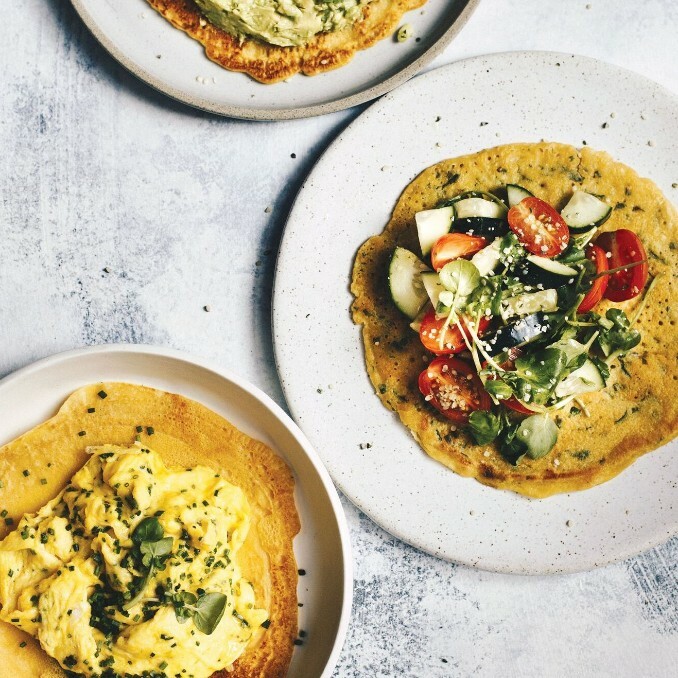 These easy chickpea crepes can be the base to literally any dinner. 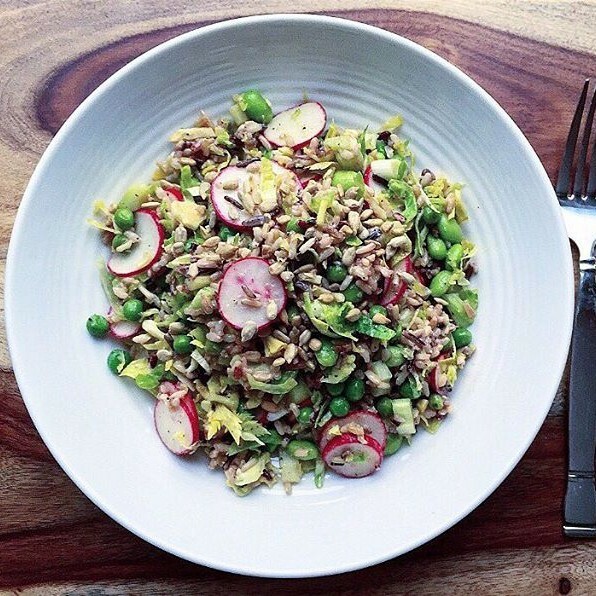 Top it with a fresh green salad, grains, or legumes. Save extra batter for another night! Usually a slice or two of an avocado makes for a delightful garnish, but on these tacos, the avocado steals the show. 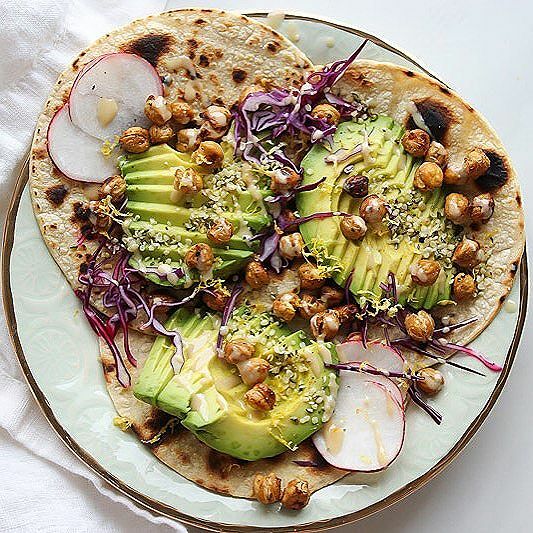 Topped with some crispy chickpeas, shaved radishes, and shredded cabbage, these hearty tacos are simple yet packed with fresh, vibrant flavor. All these flavors and we choose to be salty, huh? That's exactly right! These salty-sweet treats are just what you need for this weekend's baking adventure. Now is not the time to by shy with that flaky salt, do you hear?